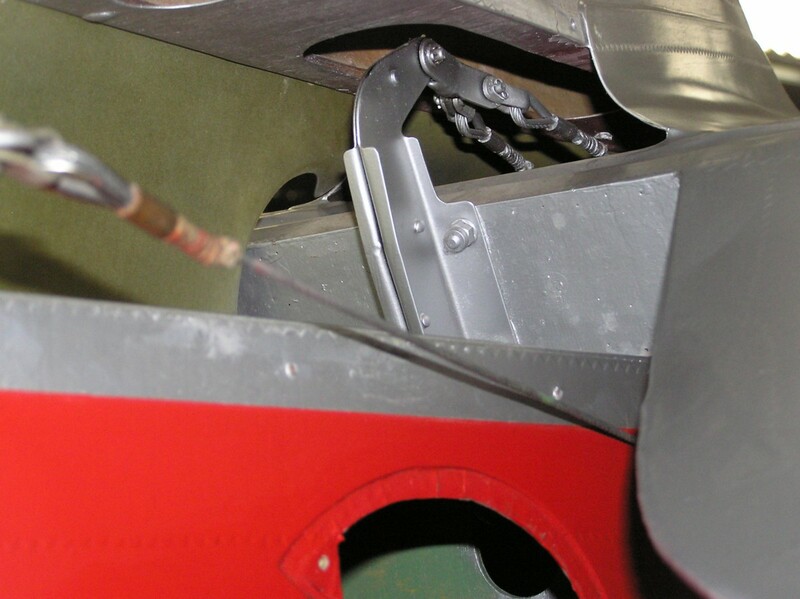 Below shows the development of the windscreen, essentially this is the racing screen that I think looks most attractive and suits the racy nature of the airframe. 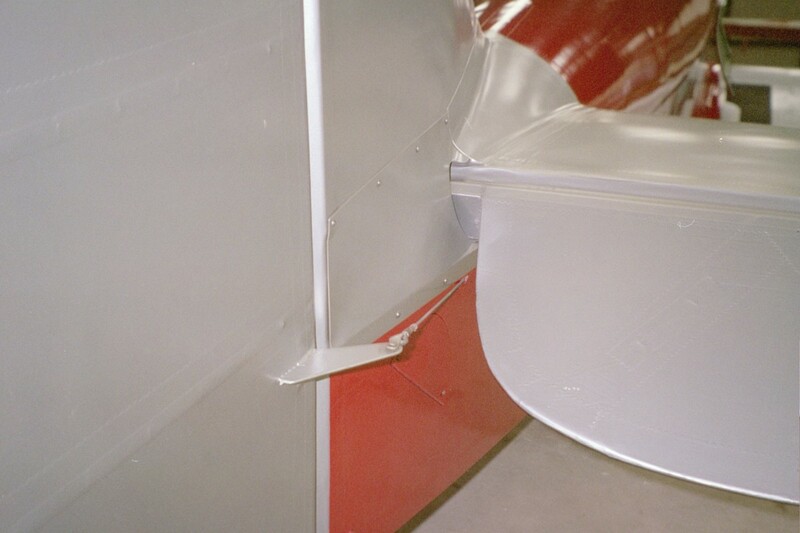 This screen overhangs into the cockpit by 1 ½” so one has to be aware of this when exiting the cockpit. 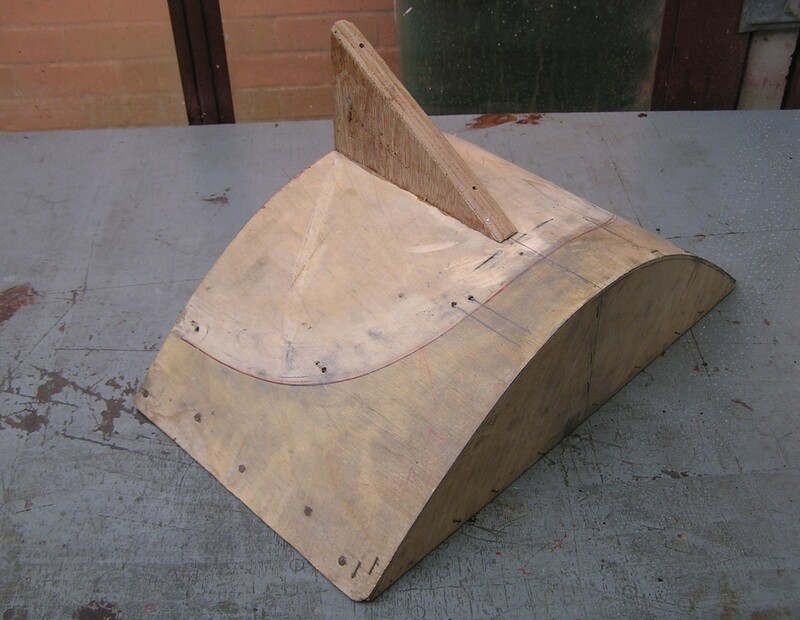 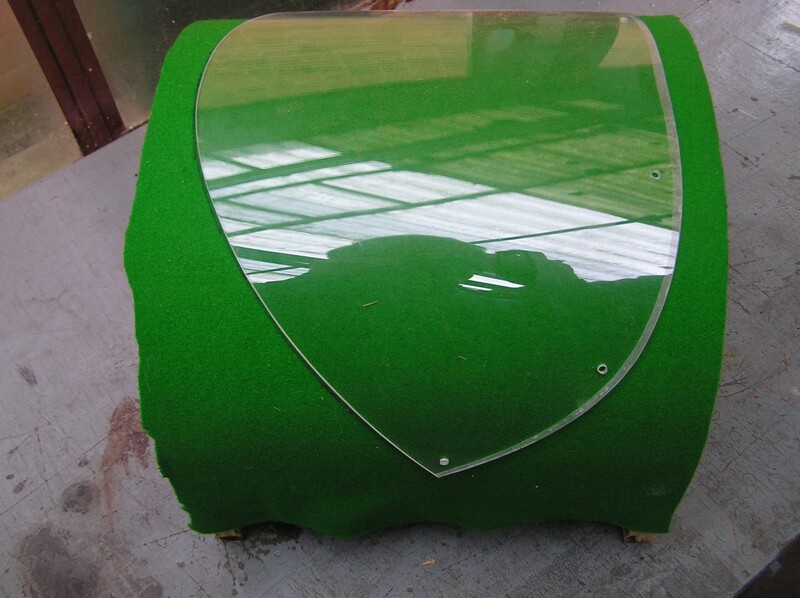 Firstly I made a wooden section of the upper fuselage to which I developed the screen shape in alum, then I gave both items to a panel beater who produced the windscreen frame. 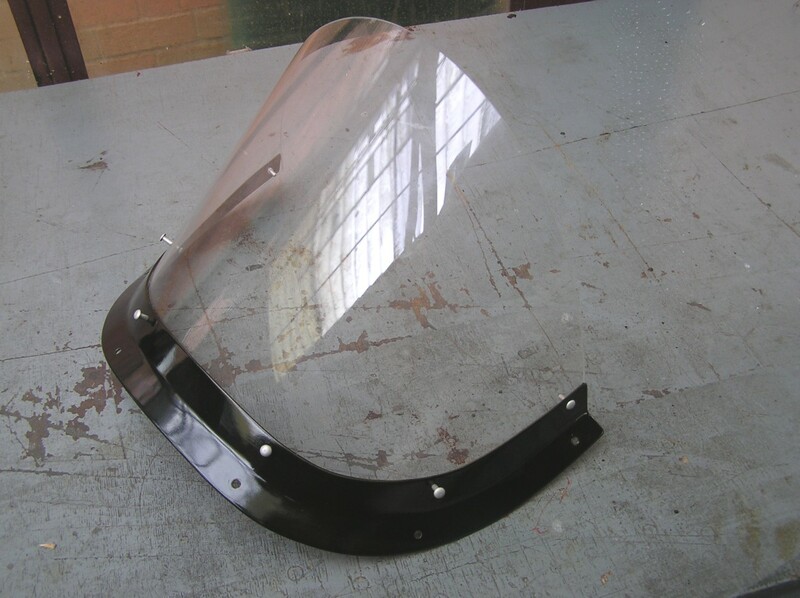 I then had to make a buck around which the new screen was to be bent, I had the screen made by an outfit in Nottingham at about a cost of £40. 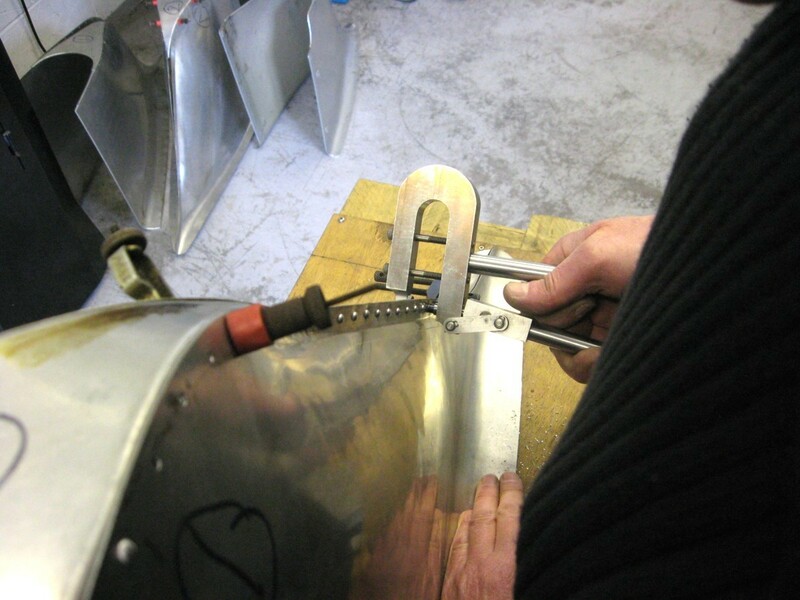 Final drilling of the screen should be undertaken with some care and the final riveting of the screen to the frame should be so the screen can expand and contract with the temperature, otherwise cracking will take place from around the rivet holes. 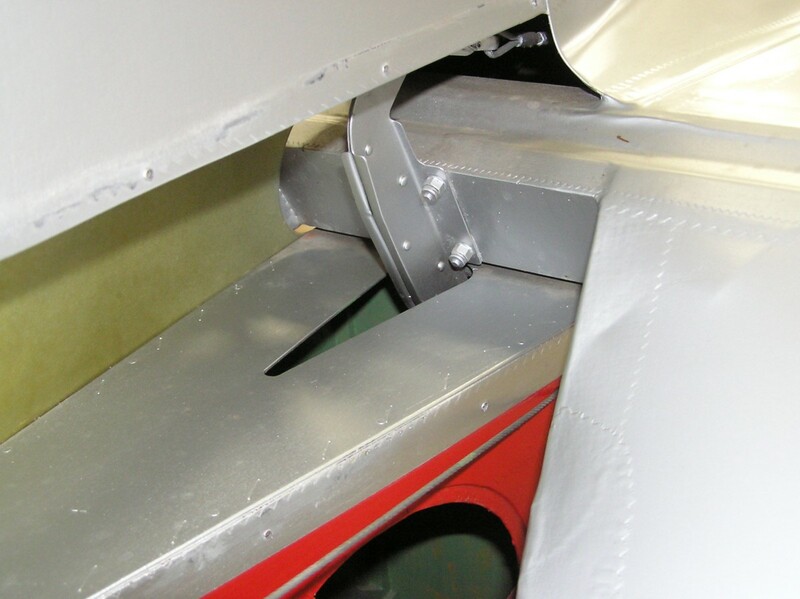 Below shows the cover at the fin base removed, with dual elevator cables terminating at the elevator kingpost. 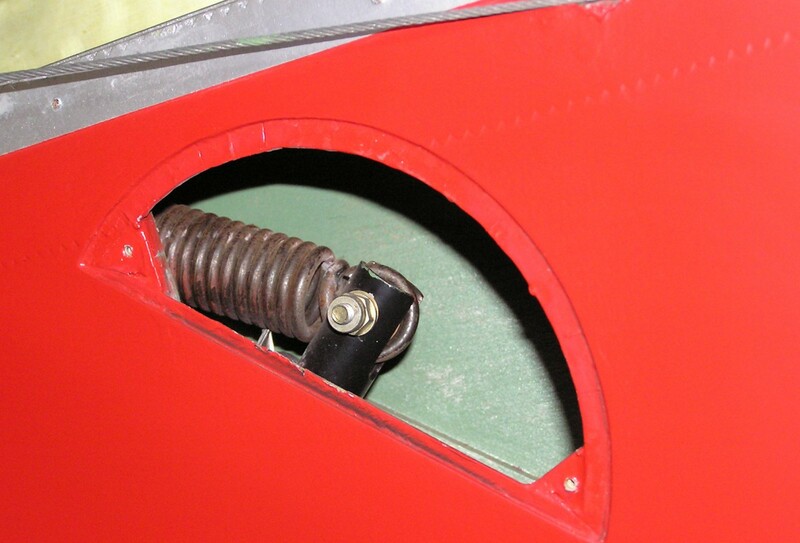 Also shown is the inspection aperture showing tailskid tension spring. 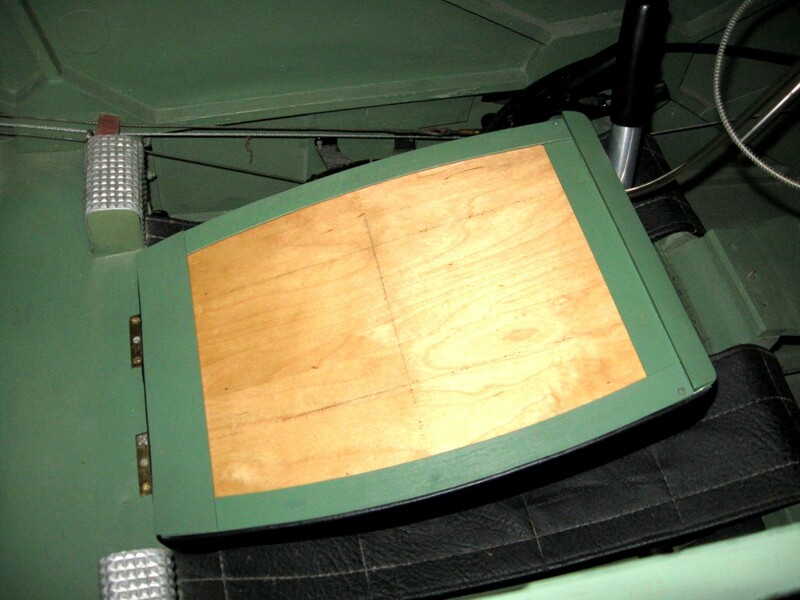 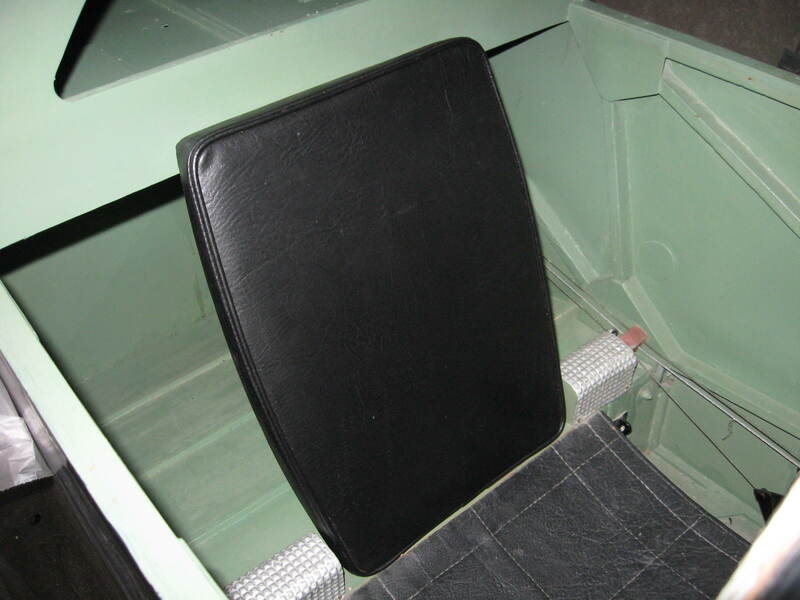 Below shows general views of the seat back rest, the seat back hinges forward as can be seen, at the top rear of the seat back is an angled piece of wood that is used to spread the load applied to the decking former when the pilot is present. 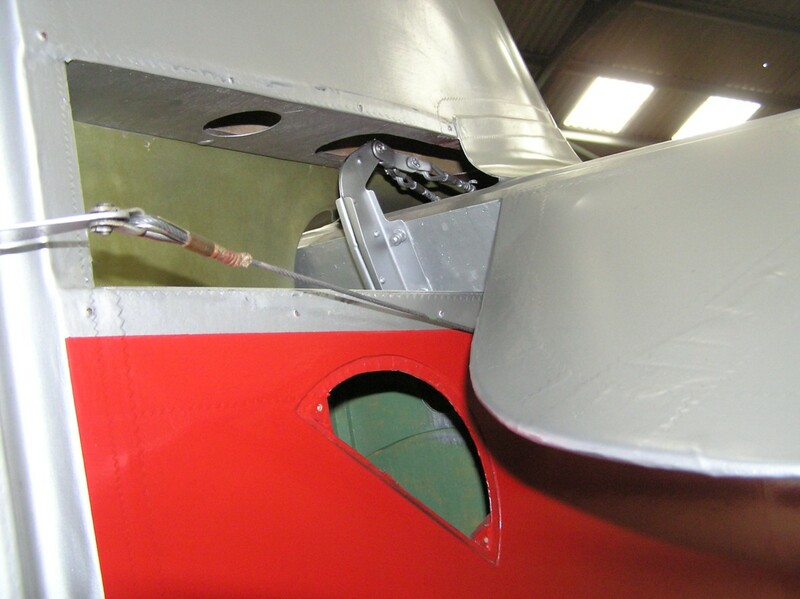 When I received ‘FSV there was a small fire extinguisher mounted on the rear of the seat. 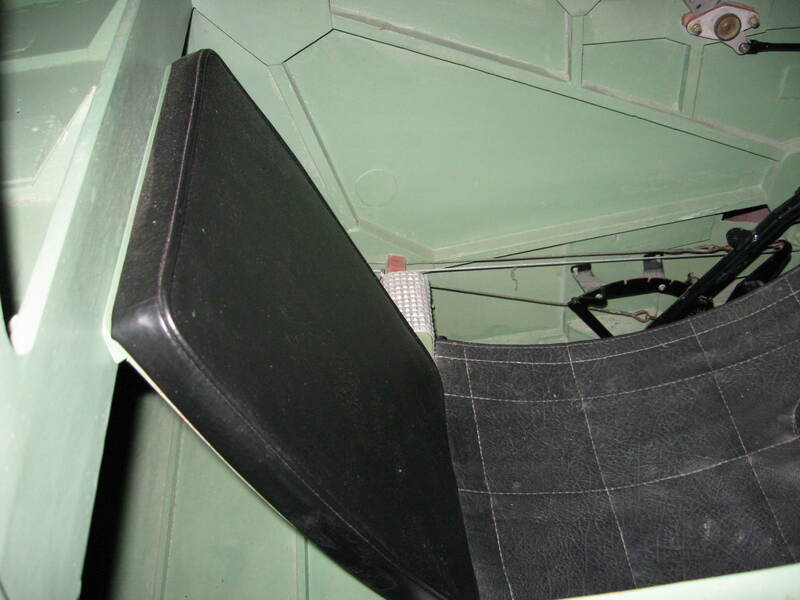 The last photo shows the underside of the old seat with the new seat along side. 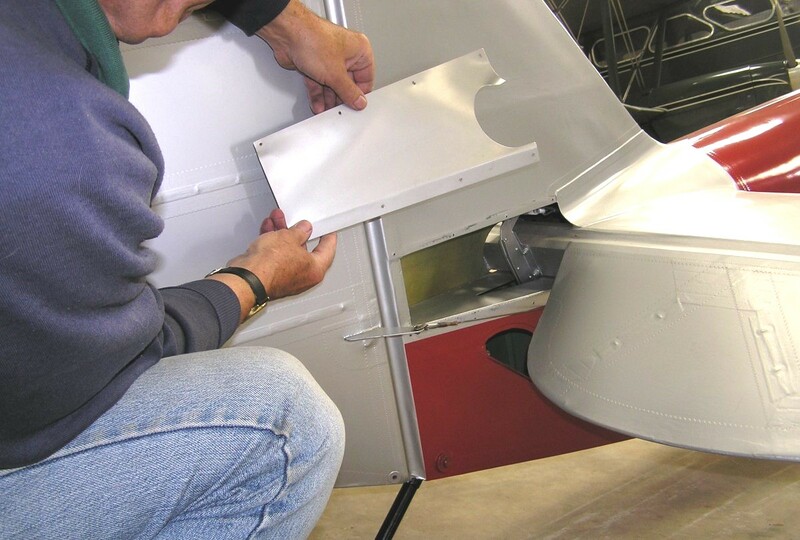 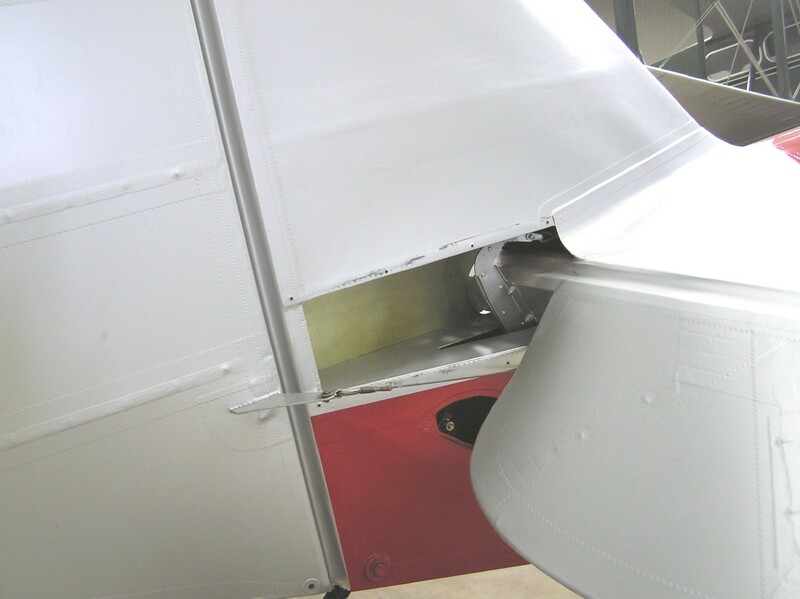 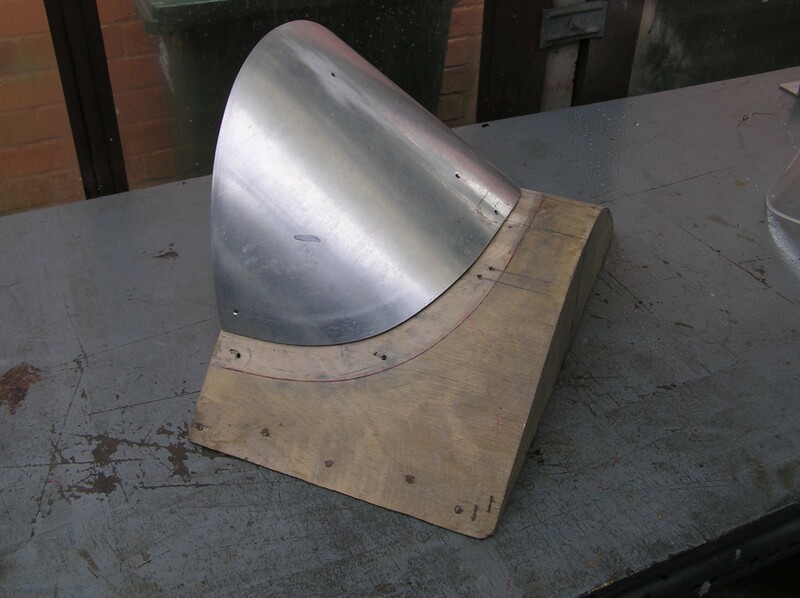 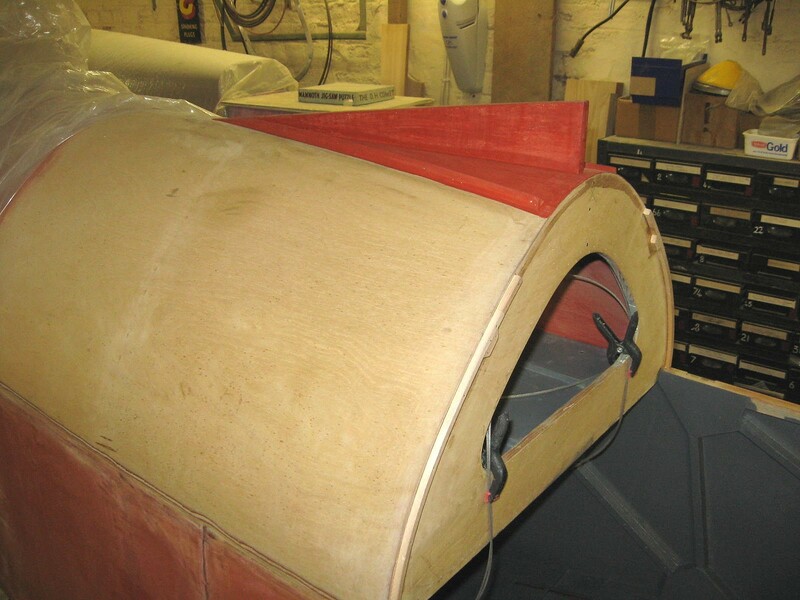 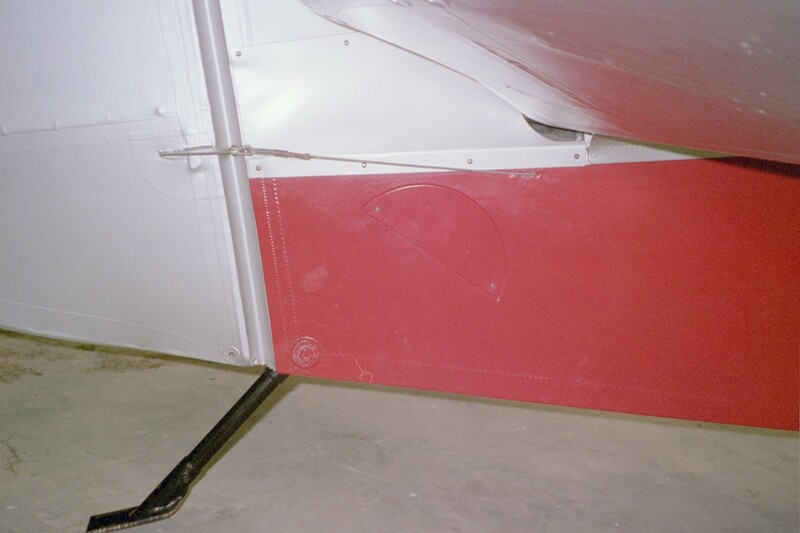 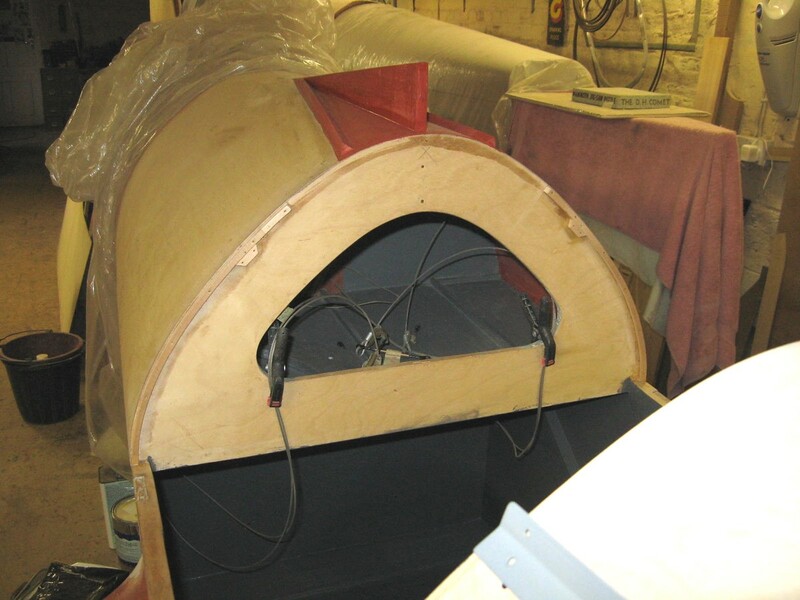 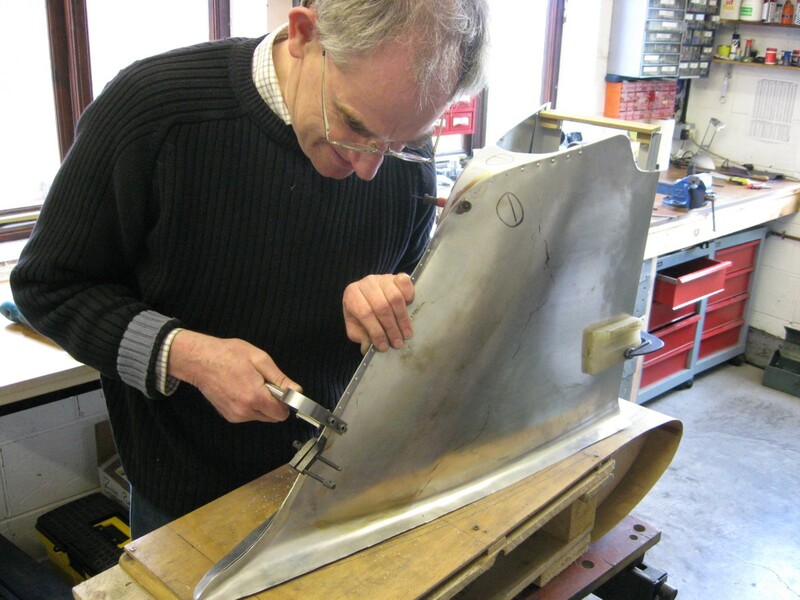 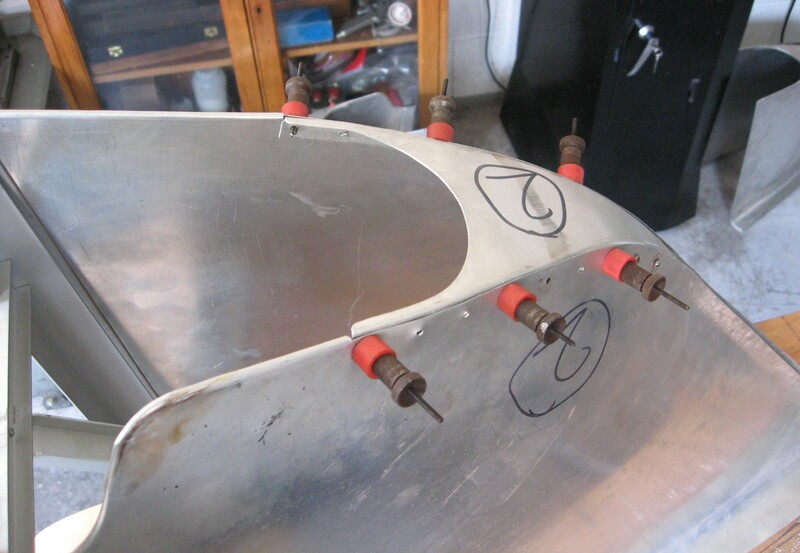 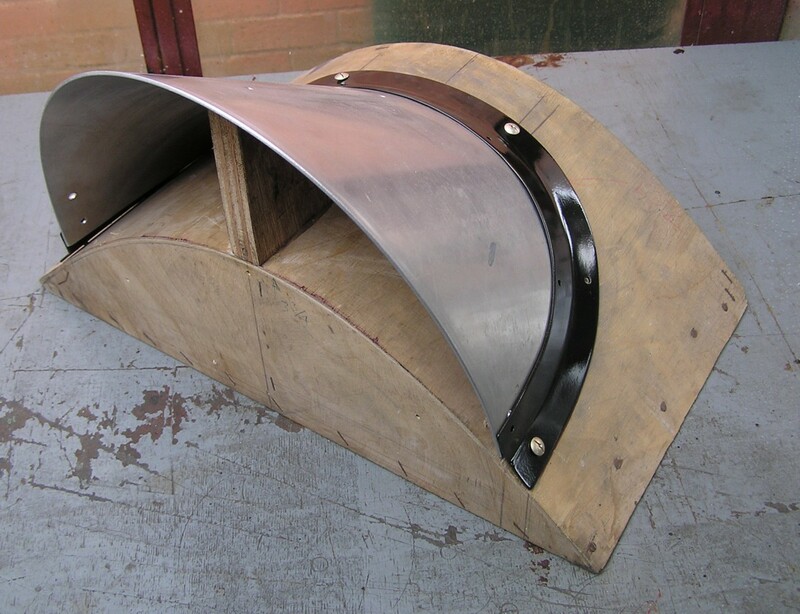 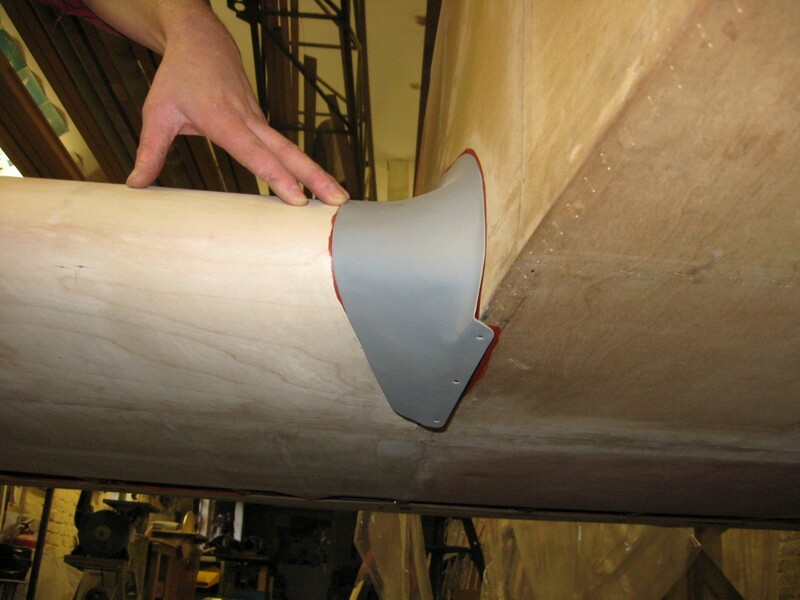 Below shows the aluminium forward fuselage to centre section fairing, the fairing aft of the rear spar is made from ply, the forward end of the fairing is retained on the underside by being screwed into the bottom longeron. 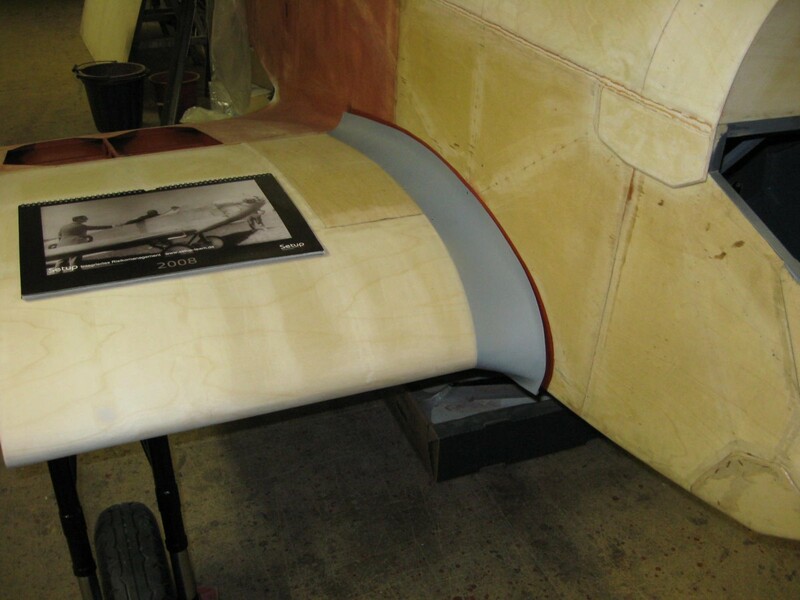 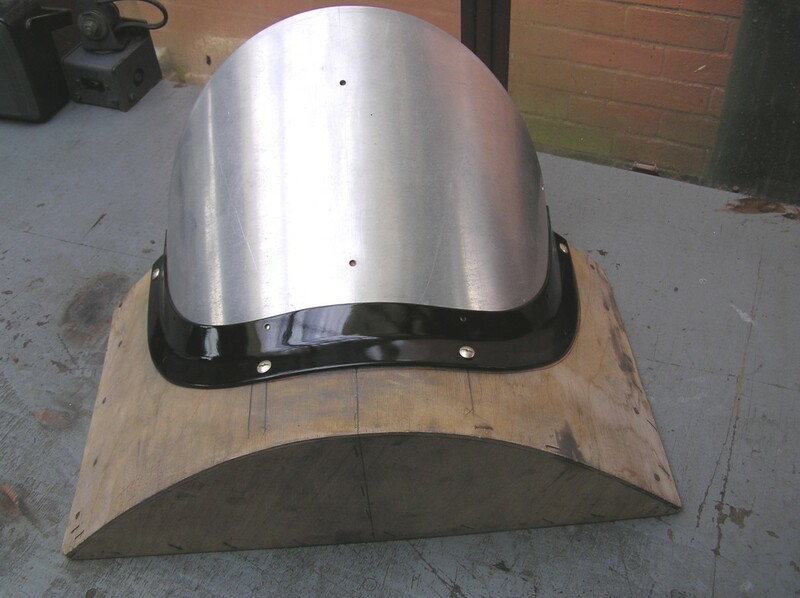 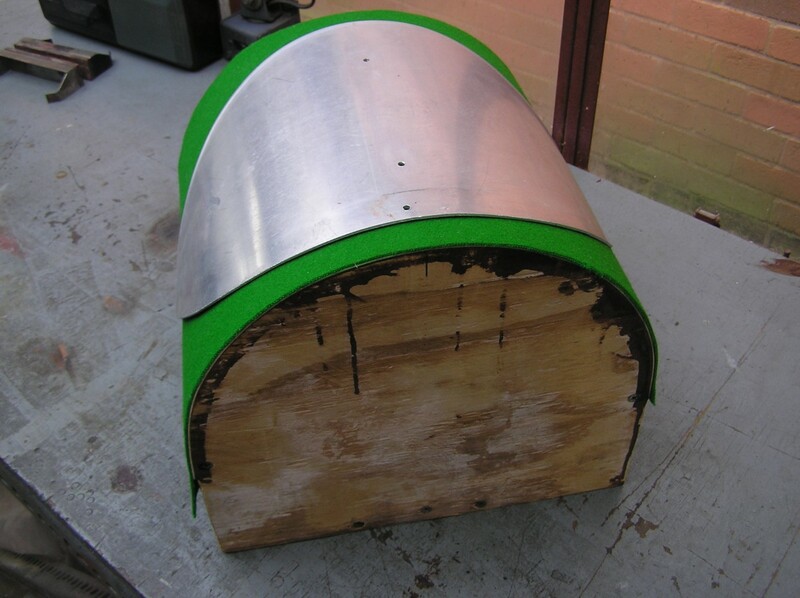 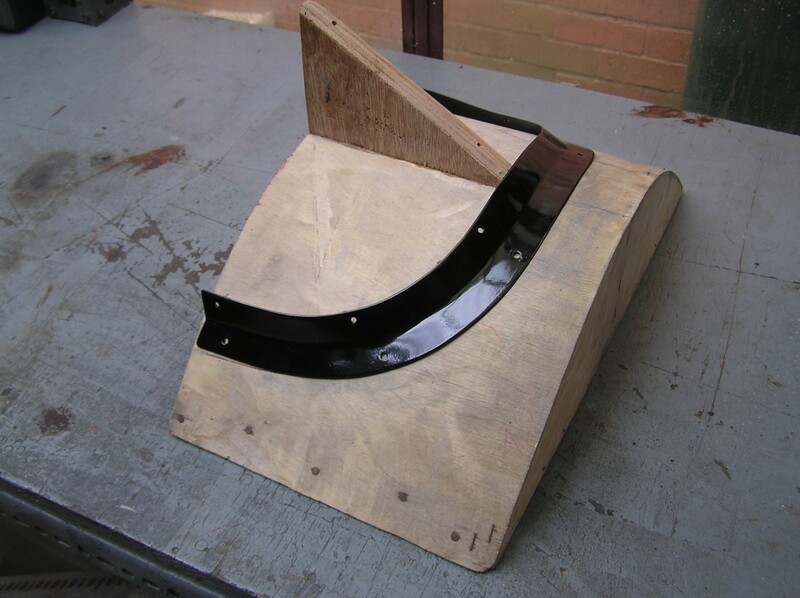 The headrest structure is shown on the decking ready for the attachment of the streamlined alum cover. 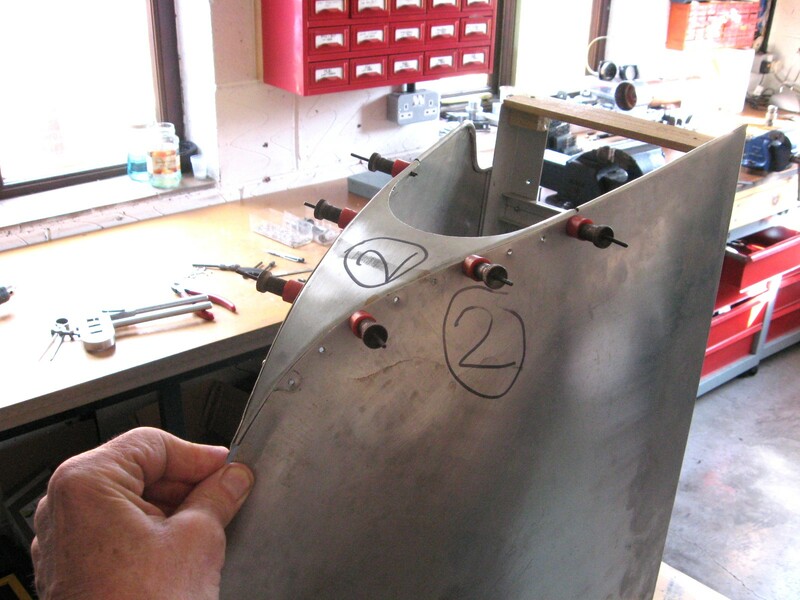 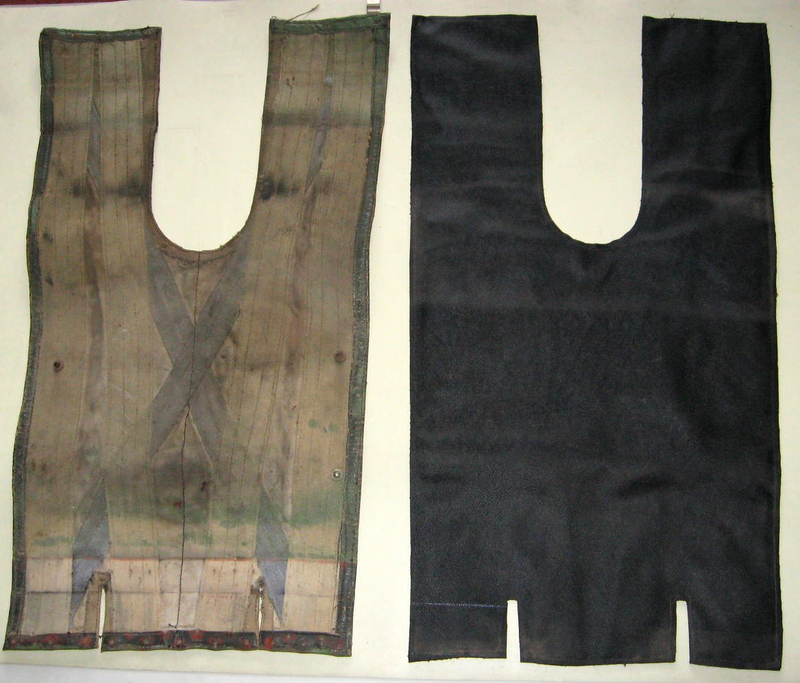 Below shows the three parts that make up the rear trouser, they sit on the jig whilst they are riveted together.